This review was first posted on The Hamilton Spectator website Dec. 11. Be brave says the dad to his young daughter at the hospital. The child is about to get a scan in a newly installed magnetic resonance imaging machine. She’s terrified so the technician calls for an anesthesiologist. Around 80 per cent of pediatric patients are sedated so they’ll stay still inside the MRI. When an anesthesiologist isn’t available, the scan gets rescheduled. Watching the family is Doug Dietz from General Electric. Dietz has spent more than two and half years designing the MRI machine. His work is up for an international award in design excellence. But Dietz realizes his machine is far from excellent for kids and their parents. “Pride in his design was replaced with feelings of failure for letting down the very patients he was trying to help,” recount authors and brothers Tom and David Kelley with IDEO, one of the world’s leading innovation and design firms. Making the machine less terrifying for kids becomes Deitz’s mission. He takes a weeklong crash course aimed at igniting what the authors call creative confidence. 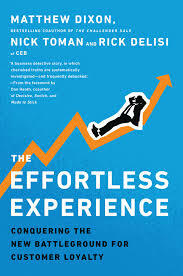 Dietz takes what he learns from the workshop and redesigns the experience of getting an MRI. He turns it into an adventure for children. Scanners are tricked out in decals and transformed into rocket and pirate ships. Kids go from being patients to the star of the show. Instead of calling the anesthesiologist, technicians roleplay with a script. The noise inside the MRI machine that once terrified kids is now the spaceship engines kicking into hyperdrive. What Dietz learned at his course has been captured by the authors. They’ve written a confidence-boasting manual that’ll show you how to shake up the status quo and solve whatever challenges have you stumped at work. The authors believe everyone is creative. Our potential to be innovative and make a dent in the universe is untapped and unlimited. Turns out the biggest roadblock is fear. We’re afraid of making mistakes, being judged and getting started. Too many of us have our innate creativity educated out of us by a system that punishes wrong answers and doesn’t reward asking big and bold questions. 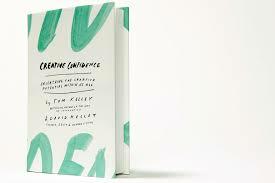 “Doubts in one’s creative ability can be cured by guiding people through a series of small successes,” say the Kelleys. Getting over that fear is well worth the effort and the rewards are great as Doug Dietz can attest. He returns to the hospital and talks with a mom whose six-year-old daughter has just had an MRI scan in the pirate ship minus the sedation. The tiny captain comes over to her mother and asks if they can come back tomorrow.